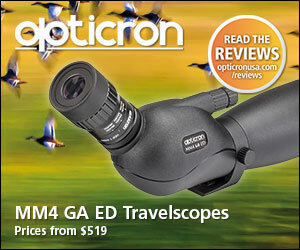 We are outdoor enthusiasts, that use and test gear. Mike Radford is the OWNER of iReviewGear.com. Mike is an avid outdoorsman, hunter and fisherman. He has spent countless hours hiking, hunting and fishing the western US. Randy Johnson is one of our Lead Editors. 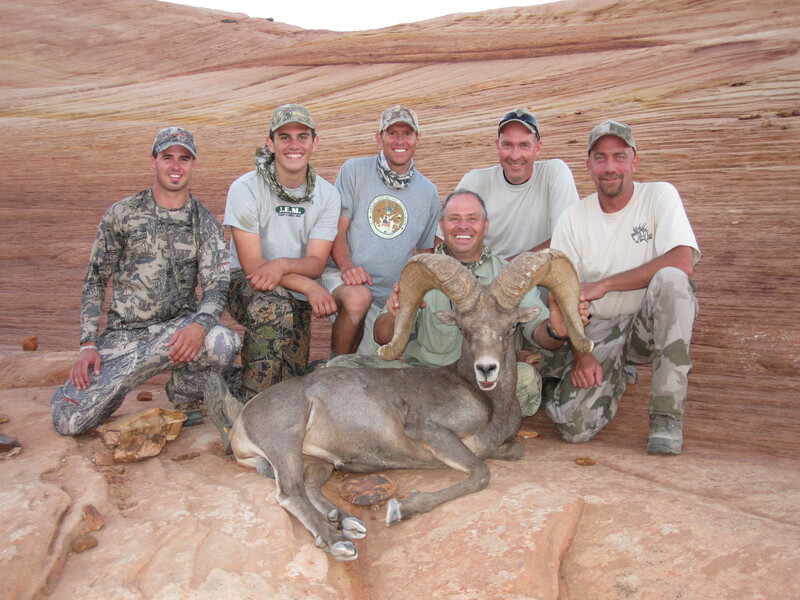 Randy has spent a large portion of his life hunting, exploring, backpacking, and guiding sheep hunters in the mountains and desert plateaus of Utah. 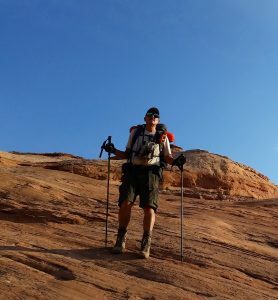 He has been characterized as a “legend” by many who know him and is famous for his “marathon backpack trips” into the heart of some of the most remote and rugged canyons in southern Utah. 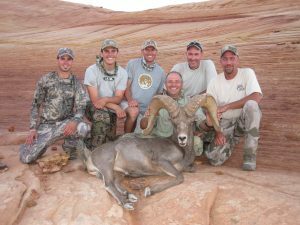 He was inducted into the inaugural Full Curl Society’s Hall of Fame in 2010 and has helped countless sheep hunters take trophy rams with his outfitting business, HIGH DESERT WILD SHEEP GUIDES. 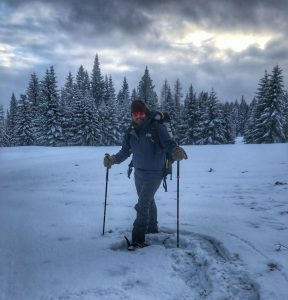 He has a true passion for quality OUTDOOR GEAR that will hold up to the challenges of Mother Nature. Cory McLaughlin is our Lead West Coast Editor. Cory was active in the waterfowl hunting industry for many years. 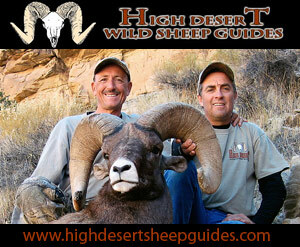 He is avid big game hunter and writer having been published in magazines such as Eastmans’ Hunting Journal. His day job is as a Classification Counselor for the Department of Corrections. He is happily married and has two young daughters. The outdoors are a huge part of his family dynamic. 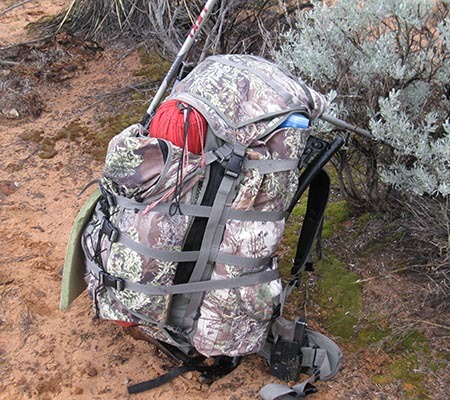 If he is not hunting he is likely to be found camping, hiking, fishing, and just being outdoors. With as much time as Cory spends out in the elements it goes without saying that he requires quality equipment. It’s not about name brand or cost. It’s about reliability and the never ending quest for the best in both gear and adventure! Katja is our Lead Women’s Products Editor. 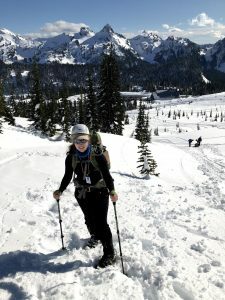 She was born and raised in the Pacific Northwest, primarily on a ferry locked island surrounded by Puget Sound, nature, and family members who introduced her to all the outdoors has to offer. Two of her core values are exploration and camaraderie and she has found these in abundance with each new outdoor adventure! Clearly hiking and mountains are a prominent feature in her life, but she also enjoys skiing, snowshoeing, canoeing, kayaking, white water rafting and exploring parks and historical sites. Her adventure goals range from kayaking in the Amazon to summiting peaks in other countries. After all, all we have to decide is what to do with the time that we have! Keep on exploring! Riley comes to our team as our Video and Media Product Editor. He is the brother of Cory McLaughlin, our Lead West Coast Editor. He is an exceptionally avid and accomplished archery and waterfowl hunter. Riley cut his teeth on filming while working with some of the biggest names in the waterfowl business. His unique experience has afforded him an incredible working knowledge of the filming industry. Riley brings with him a deep love for the outdoors and an excellent eye for capturing it on film along with a reputation for putting out very high quality videos. Riley will bring his experience and knowledge to the IRG.C team to assist with both reviewing media/video products and creating and editing our video reviews. He is sure to make each review transcend the typical and woefully boring basement filmed review. He will make it an experience! Johnny developed a passion for being in the outdoors at an early age. You can typically find him camping, backpacking, fishing, or hunting. He has an intense love for archery and waterfowl hunting. His passion for pushing the limits in the outdoors was part of his motivation for joining the military. Serving in the infantry helped him to understand the necessity for quality gear when you need to rely on it the most. After military life Johnny pursued a career as an engineer. An engineer looks at things a little differently than the rest of us and this gives him the ability to analyze and evaluate how quality equipment best suits the specific needs of the modern outdoorsman. Johnny is an outdoor enthusiasts in every sense of the term. 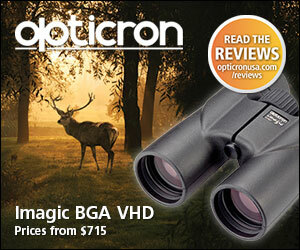 In the wilds his passion matches his skill making him a perfect candidate to test and review quality gear. Cameron Meier – Cameron, like our other Editors is a Professional. He works as a CPA in Oregon. Cameron lives is western Oregon and loves the outdoors. He has recently gotten into hunting after playing baseball in college. He loves hunting Roosevelt’s and Black tails and needs good performing gear in the rainy Northwest. He loves working out in the off season to get ready for fall hunting. Jacob Long is a professional firefighter and knows the meaning of quality gear. He lives in Western Colorado and is a avid hunter. He has taken some nice animals with bow, muzzleloader, and rifle in his home state. He also enjoys backpacking, climbing 14ers, Mt biking, cross-fitting, shed hunting, and scouting year round to be a fit and knowledgeable predator. Reed Miller lives in Idaho. Reed is a gear JUNKIE. He loves Coyote hunting, outdoor photography, and Long Range Shooting. Reed has recently been one of the finalists in a National Geographic photo contest. Reed is our Idaho based specialist, and our Photography specialist. He has sold many outdoor photos, and is considered one of the very best in the industry. Tanner Christensen is our Utah based outdoor editor. Tanner has a great passion for the outdoors, hunting, fishing, camping, rock climbing, etc…Tanner does it all. He is an engineer at a large software company, and working on a masters degree. Tanner is an outdoor nut. 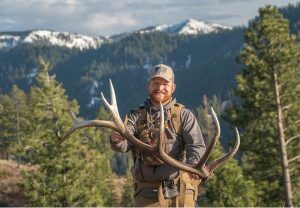 Rod Steele is one of the best known Mule Deer and Elk guides in the west. Rod’s knowledge of the Henry Mountains, Boulder Mountains, and many other units is second to none. Darren Wolz lives in Utah and loves to hunt and fish. He takes trips to Alaska every year chasing Salmon. He bow hunts Utah and Idaho regularly. Darren is an Mechanical Engineer by trade. His engineering background gives him a unique perspective on how things are built and should be built. Darren has harvested an outstanding BC Moose, and several trophy Mule Deer. Ryan Gasser lives in Birdseye Utah. Ryan loves hunting and the outdoors. 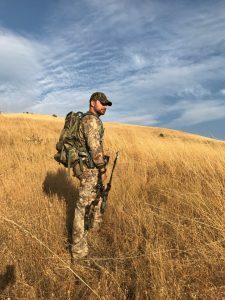 He spends lots of time in his home state of Utah, but also ventures out to Wyoming and South Dakota on hunting adventures. Ryan took a HUGE bear in Utah last year. This bear will place very well in BC, and in the Utah record books. Chris Neddo is one of the toughest pound for pound guys you will ever meet. His background as a college athlete serves him well, as he is a hiking machine. He loves the big nasty mountains near Salt Lake City Utah. He spends time in those mountains hunting and hiking. Questions can be forwarded to [email protected].